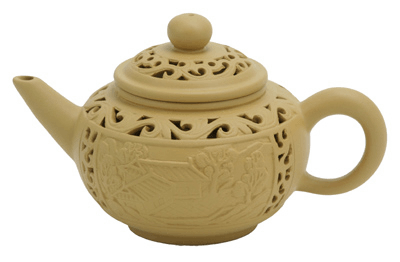 This classic teapot is made from sturdy iron and has enamel coating on the interior to prevent rusting. 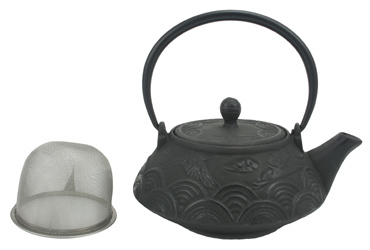 It also comes with a removable stainless steel tea filter. 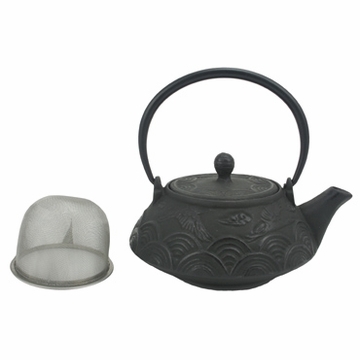 The teapot is glazed in black and cast with a traditional crane design. The crane design symbolizes good health and longevity. Cast ironware heats evenly and retains heat well and is praised worldwide for their beauty, strength, and superb quality. Please note that this teapot should not be used directly on stovetop to heat water. Individual teapot just like they have in the restaurants. goes about an inch into the hot water. I use this type of tea pot amost exclusively to brew all types of tea. The fitted strainer makes brewing simple. 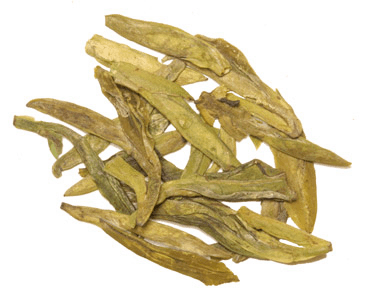 Easy to clean (just water) and does not absorb tea flavors. Lasts forever, too! Excellent experience with company and product! This is a really nice little teapot. It is perfect for a single serving of tea. It appears well-made, arriving rust-free (a problem I have had in the past with cast-iron teapots, although not from enjoyingtea.com), with no chipping and a well-glazed interior. The teapot is easy to clean with hot water, and dries quickly, leading me to believe that it will not rust easily. It keeps tea warm for around 30 mins, which is fine with just one serving of tea.